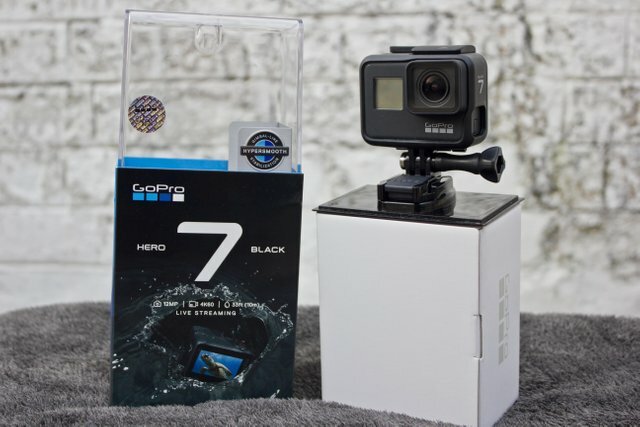 Clicked #75: Go Pro Hero 7 Black : Setting new bars !!! I hope you guys are having a wonderful time. It was nearly unbelievable to get near to human eye experience from a camera but GO PRO HERO 7 Black has broken every bar with its HYPERSMOOTH electronic Image Stabilization which is so far gives the best Stabilization in any Camera ever. With its new features like live streaming and comparatively improved audio and a new amazing feature TimeWarp which is the improved version of Time Lapse. I had been thinking to get this beauty from so long. It cost me Rs. 37000/- which is approximately 515 USD and let me tell you with these supercool features $515 is totally worth it. HyperSmooth: This feature is a big part of this camera, it is the next level of Electronic Image Stabilization (EIS) and how it makes the video super smooth is its ability to proactively look at how motion is happening frame to frame and adjust its correction to make it super smooth. TimeWarp: It is basically HyperSmooth applied to a Time Lapse video, which allows us to capture super stabilized time lapse videos. 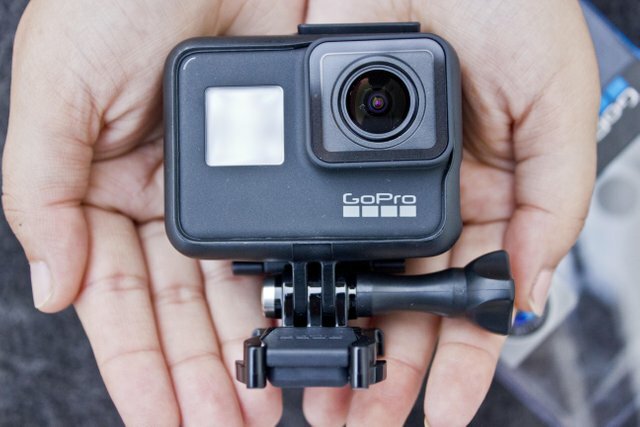 Video: It can record video of 4K at 60 frames per second. SuperPhoto: This feature captures photographs automatically with HDR and best possible settings in any light. Live Streaming: With this feature we can stream our videos live on Facebook, Instagram and other social media platforms. Voice Control: Adding to its awesome features it can be controlled by voice also. I am still trying to get over this camera and its insane features. Looking forward to capture some awesome Photographs and Videos from this wonderful camera. I will be feasting your eyes with fantastic videos.. Check my post on Weku, Whaleshares. Wow, that thing is pretty small!How and what are you going to mount it to? I had one of the original gopros until someone I knew accidentally took a suitcase with it in it on vacation.. once on vacation they thought my suitcase was there accidentally and left it. So dumb haha. That experience kind of turned me off to gopros but I'd be interested to see how they've improved! It was indeed nice, but how good is as compared to a Decent DSLR camera ? It’s my next photography gadget on the list to have. Congratulations! This post has been upvoted from the communal account, @minnowsupport, by clicked from the Minnow Support Project. It's a witness project run by aggroed, ausbitbank, teamsteem, someguy123, neoxian, followbtcnews, and netuoso. The goal is to help Steemit grow by supporting Minnows. Please find us at the Peace, Abundance, and Liberty Network (PALnet) Discord Channel. It's a completely public and open space to all members of the Steemit community who voluntarily choose to be there. Oh man I need me one like this!! 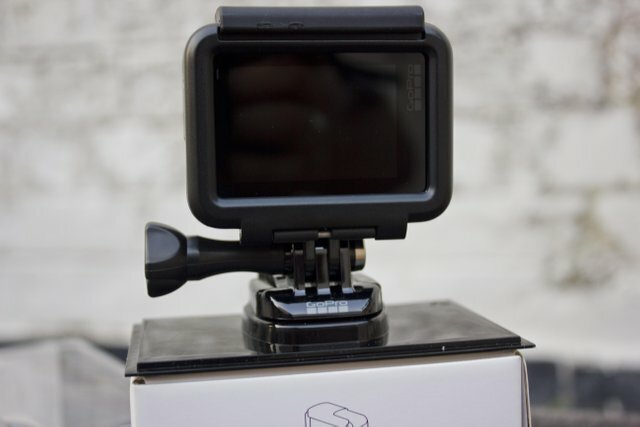 Go Pro has always managed to pack some extremely good features into a very small amount of space. I think they were one of the first cameras I saw with 4K capabilities - and if I remember correctly, they were significantly ahead of the curve too. I also appreciate that they seem to iron out all glitches before releasing to the public - you buy one, and you know it'll work as you expect. 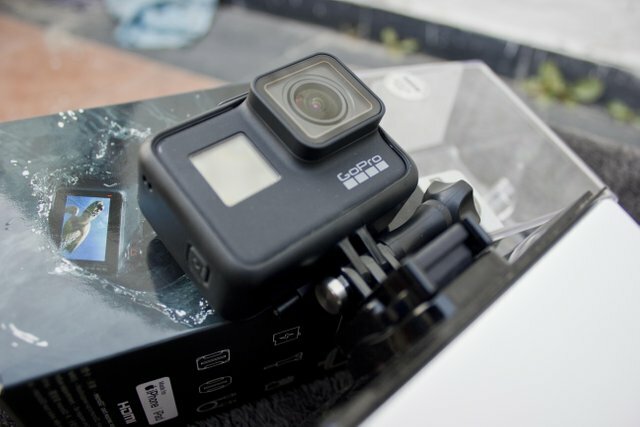 Yes but i am a newbie in this action camera line, slowly i will learn and will upload great videos . I'm excited for the Hero 7 myself! The 6 was great and the new features are worth the upgrade. Congrats on the pickup! Hello @mikeycolon, you have go pro 6 ? Can you tell me a bit about slo-mo ?? Your UA account score is currently 1.632 which ranks you at #32566 across all Steem accounts. Your rank has improved 2835 places in the last three days (old rank 35401). In our last Algorithmic Curation Round, consisting of 285 contributions, your post is ranked at #121. Man you make it sound so tempting! 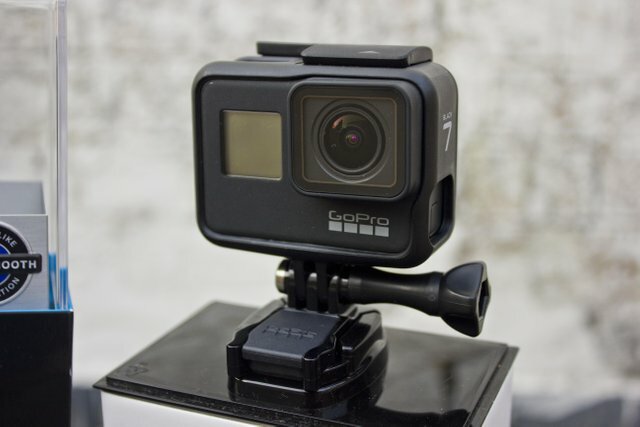 I have always wanted to get one but I keep thinking that it is action camera so never really got one. Drone cameras are cool too... But this could be an interesting one to get! Thanks for sharing! @khimgoh yea it is tempting this cripsly sharp images and videos in love with it. It's in my wish list! LOL, great mind thinks a like! The Hero 7is out!? Awesome! I love GoPro. I started with the Hero 2, then I got the 3, the 3+, and now I have the 4+ Silver. I love it. I can't believe they're already up to 7 though, dang! It sounds amazing! I'm totally jealous. lol.